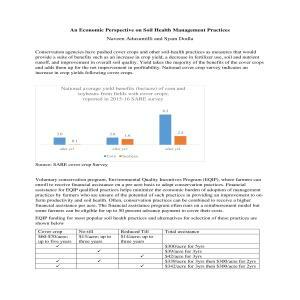 The attached document provides information on economic incentives available for adopting soil health improvement practices. Conservation agencies have pushed cover crops and other soil‑health practices as measures that would provide a suite of benefits such as an increase in crop yield, a decrease in fertilizer use, soil and nutrient runoff, and improvement in overall soil quality. 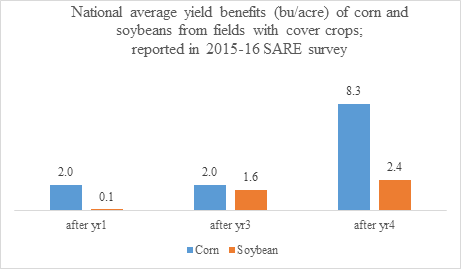 Yield takes the majority of the benefits of the cover crops and adds them up for the net improvement in profitability. National cover crop survey indicates an increase in crop yields following cover crops.